Campaign is showcasing the six chief marketing officers shortlisted for the World Federation of Advertisers' Global Marketer of the Year award. Read on to find out how to vote and why Mastercard's chief marketing & communications officer and president of healthcare business has made the cut. Mastercard’s marketing was firing on all cylinders in 2017. It’s been a successful 12 months when its three pillars - a strong brand, proven benefits to the business and platforms that provide a sustainable competitive advantage - were all delivering. For Raja Rajamannar, this success represents the culmination of efforts over a four-year period since he joined the company in 2013. Firstly, he notes the "brand has grown considerably and out-performed our category". Mastercard is now a top 20 brand in the BrandZ Global Top 100 Ranking with a value of $49.9bn. Secondly, the proof that marketing is adding to the business has been well delivered. "We’ve been successfully proving the return on investment consistently on our campaigns. For the first time, our CFO has gone in front of the analysts saying he is increasing money in marketing. There’s a clear perception – based on reality – that marketing is driving business," he says. Finally, the "Priceless" platform has fully evolved beyond a simple creative message into a marketing programme designed to create a "priceless experience" for cardholders across four areas; Priceless Cities, Priceless Surprises, Priceless Causes and Priceless Specials. The use of this framework has dramatically reduced the number of campaigns running globally at any one time, making the message more targeted and more manageable. Rajamannar singles out the success of Priceless Causes, which has helped consumers and business customers make a real contribution to solving challenges such as cancer and hunger. For example, this has led to the development of new drugs for breast and prostate cancer while in Eastern Europe a campaign to help feed children in Rwanda has ensured that 300,000 kids benefit, boosting school attendance by double digit numbers. Next year’s target is to feed 1m children. "Employees feel very proud of these schemes and business is growing as well. Banks and merchants see these campaigns and they want to join the gang. It’s extremely meaningful," he says. The work that’s gone into this success is less than straightforward, however. Mastercard has merged its marketing and communications into one team – "It’s not two different areas but a continuum," he says. There’s been huge effort to ensure all team members are being used to their potential, training to ensure a digital-first approach across its marketing and automation of mundane tasks where required. Even the company’s executive committee is being trained to be digital first. Rajamannar says 15 of his 17 direct reports have only taken up their posts in the last six months, many are new to the company and a third are new in their roles. "It feels like it’s a new start-up," he says, reflecting his belief that Mastercard is as much a tech company as it is a financial one (this year it also launched Masterpass, a digital wallet alternative to similar services offered by Google and Apple). The company has also been working closely with its agency partners to introduce payment by results, based on third-party metrics. "Do well and they get paid well," he says. Transparency and viewability issues have been addressed, with the company also looking at itself to see where it can improve its work with agencies. Rajamannar, who has also worked at CitiGroup, Diners Club North America and Hindustan Lever, describes the switch from local roles to regional or global roles as moving from an insight and operation focus to becoming an advocate for marketing. It’s much more of a general manager approach. "55% to 60% of my interactions are not marketing. I do not behave as a marketer at all, I behave as a businessman," he says. Taking that approach means being able to answer the question "how does it impact on the bottom line" as well as being able to distribute marketing budgets wisely around the world – "you need to understand the growth priorities and the ROI for each country". Externally, it means becoming a brand ambassador for both the company and also for the industry and the power of marketing. 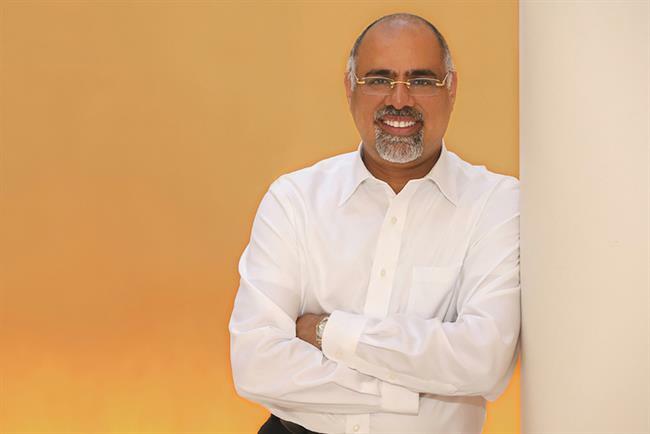 This year, Rajamannar has worked with Harvard Business School and Singapore Management University to create a case study for the marketing transformation at Mastercard. He wants his fellow CMOs to invite the academics in. To bring business studies professors into their offices to shadow the role that today’s CMO really plays and boost perceptions in critical career-decision environments such as MBA programmes. Such work is vital if the industry is to continue to attract the best talent, he argues. Today’s marketing landscape demands huge ability, the need to be creative but also be digital, data and tech-savvy. Being good in all these areas makes great talent equally attractive to an investment bank or Silicon Valley and marketing needs to make its case much more strongly, he says.